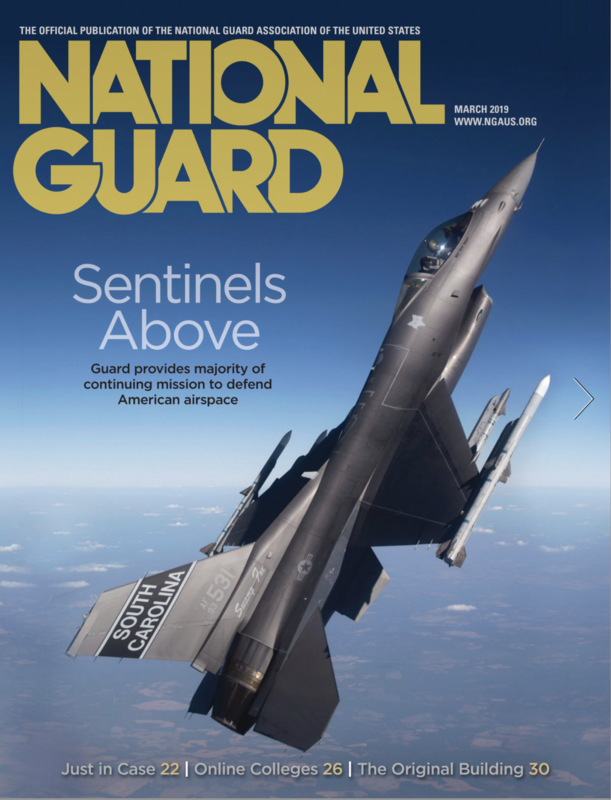 Sentinels of the Skies Air Guard provides the bulk of the aircraft and monitors for the continuing operation to defend American airspace. Just in Case A WMD Civil Support Team was minutes away during the State of the Union address. Mastering Online School Before going back to college via a computer, learn from some in the Guard who already have. The Original (NGAUS HQ) GUARD ROOTS: Small donations from thousands of troops 60 years ago helped build the first National Guard Memorial. Chairman’s Message A NEW MINDSET NEEDED: Far too often, we are at the end of the line for equipment recapitalization and modernization.